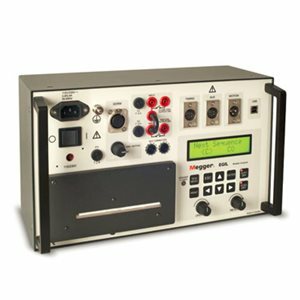 The EGIL is an automatic timer and motion analyzer for medium- and high-voltage substation circuit breakers. It is intended for use on circuit breakers with one contact per phase. EGIL incorporates features commonly found on more complex test systems, but is designed to be smaller, simpler to use and less expensive than other similar test sets. It’s price makes it attractive to smaller utilities and it is an ideal supplementary product for maintenance departments at larger power companies and for testing contractors. CABA Win local can only be used with TM1700 and TM1800 circuit breaker analysers. Please follow the installation instructions contained within.